An average day with lots of gas. It must be the vitamins. Probably the "C". I talk to Chris. She had an ultrasound today and the baby is somewhat breach and the head is bigger than Justin's was so it would seem she must have a C-section. She will see the doctor tomorrow to set a date. Hopefully, it will be next week. We go to Gary's in the evening. He is working in the yard. Later he takes a quick swim. Then we visit for awhile. It's so nice to have them here in Simi. I worry that they'll think they see or hear from us too much. but they keep saying "Come over." Gary and Maria still love to entertain. Maria comes from a large family of 9 siblings, so her house is always full of family and friends coming and going. They are wonderful hosts. I'm sure they loved to see Mom and Frank. 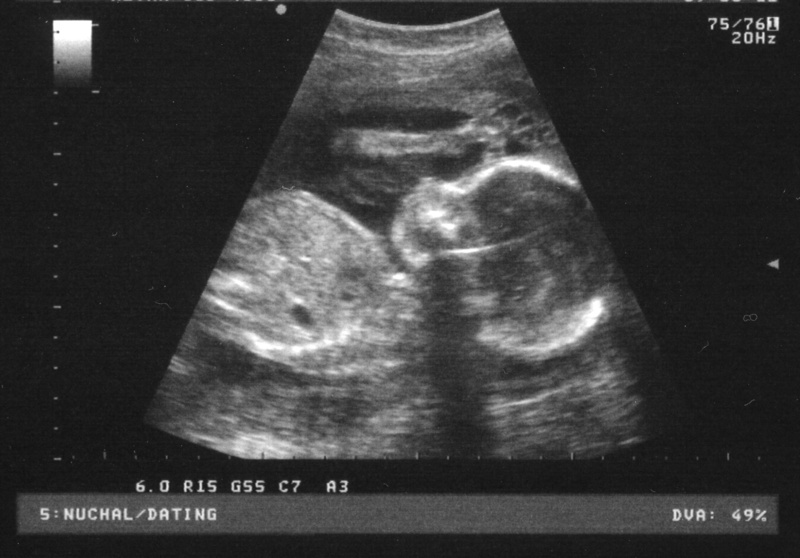 Wow, I had forgotten that my ultrasound showed that Derek's head was larger than Justin's. I was in labor with Justin in 1981 for 23 hours. Finally the doctor ordered an X-ray and determiend that Justin's head was 10 cm across and the opening of my pelvis was only 9, so I could labor for days, and he was not coming out. The doctor called for an anesthesiologist and I was given general anesthesia with a C-section. When Derek was born his head was 12 cm across. I remember the doctor seemed surprised, but the ultrasound showed that he had a big head, so why did my doctor not schedule a C-section? It would have saved me from 36 hours of labor!